Manufacture and Wholesale big and small Cone Shaped Heat Transfer Machine,Bucket Heat Press Machine, Automatic Barrel Heat Transfer Machine. Capable of heat press transferring on cylindrical and conic products. 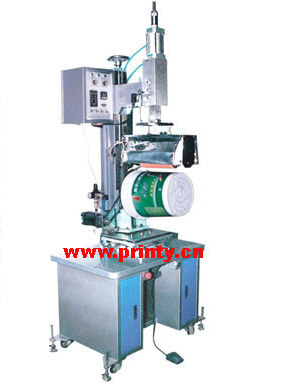 Capable of adjusting on heat pressing pressure, temperature and speed. Worktable capable of slight adjustment on rear-and-front, left- and-right movement and rotation.